Patty Mills’ shot went cold in the final minutes of the San Antonio Spurs’ thrilling game five playoff overtime victory against the Houston Rockets, but his coach Gregg Popovich didn’t mind. 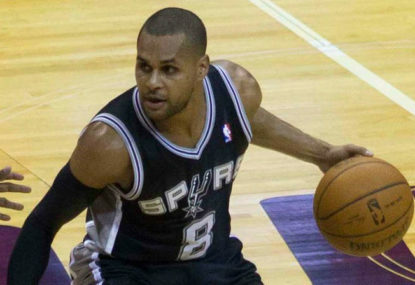 Mills had already performed the job Popovich wanted when he elevated the Australian from the bench to be his starting point guard. The Spurs won 110-107 in San Antonio on Tuesday to take a 3-2 lead in their NBA Western Conference semi-final series. 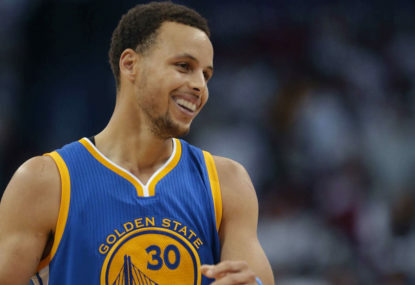 They are just one victory away from eliminating the Rockets to set up a Western Conference finals series against the Golden State Warriors. 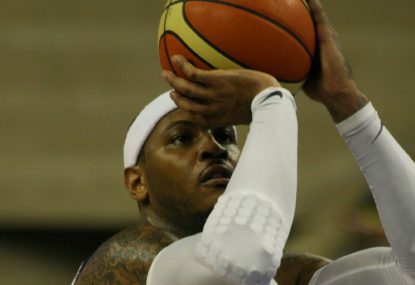 Mills provided the early spark Popovich needed, scoring eight first-quarter points, including two three-pointers, on the way to equalling his playoff record 20 points. “Patty did tonight what he has done for us the entire time he has been here,” Popovich, full of praise for Mills who joined the Spurs in 2012, told reporters. The Spurs lost their longtime starting point guard Tony Parker to a leg injury in game two and started rookie Dejounte Murray in games three and four of the best-of-seven series. Mills played a marathon 43 minutes on Tuesday and in overtime only managed one shot, a miss. With just eight seconds to go Mills made a key defensive play by knocking the ball out of Rockets’ forward Eric Gordon’s hands and then leaping on the loose ball to force a jump ball. On the next play another Spurs veteran, Manu Ginobili, blocked Rockets star James Harden’s potential game tying shot to seal the victory. The 39-year-old Ginobili and another experienced campaigner, Danny Green, came up big in overtime for the Spurs with their All-Star, Kawhi Leonard, left on the bench after suffering an ankle injury in the third quarter. Popovich said after the game he was not sure how serious Leonard’s injury was. Game six is in Houston on Thursday. 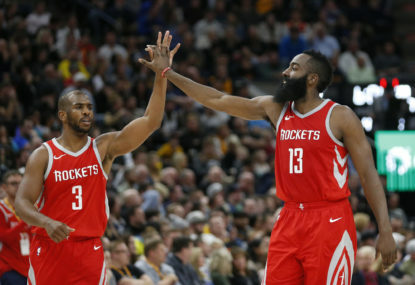 “We played well enough to win but just didn’t finish the job,” Rockets coach Mike D’Antoni said. 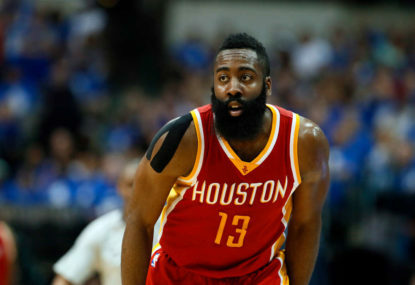 Both teams struggled to score in overtime, with Houston’s James Harden scoring a triple-double with 33 points, 11 rebounds and 10 assists for the game but failing to score a point in the extra period. It was Green and Ginobili who led the Spurs to the win. Green had 16 points and five rebounds while Ginobili had 12 points, seven rebounds and five assists. In the final minute Green hit a three-pointer and then took the ball to the basket, sank the shot, was fouled on the play and hit the free throw to extend the Spurs’ lead to 109-107 with 30 seconds to go. Green hit another free throw with 15.7 seconds remaining. Ginobili wound back the clock with some above the rim play that defied his age. “I’m not sure if you saw the wrong foot right handed dunk, but that’s one for the record books right there,” Green, noting one of Ginobili’s dunks, said.